LOUISVILLE, KY (December 19, 2016)—Mayor Greg Fischer joined the Louisville Affordable Housing Trust Fund (LAHTF) today to announce the recipients of LAHTF funds that were allocated in the FY17 budget. A total of $2.35 million will be distributed to six local agencies to supplement the financing of 326 affordable housing units. $641,114 to Backtrack Inc. to rehab and preserve 40 senior multi-family units in District 14. $500,000 to LDG Multifamily LLC for gap funding for the Bristol Bluffs project, which will produce 216 affordable housing units. In total, LAHTF was allocated $2.5 million. The funds not being used to help rehab or build units will support program administration and establish a grant pool for supportive services grants.  “We have long known that there is a severe shortage of affordable housing in Louisville. The trust fund’s experience this year has proven that good projects are waiting to be built if funding is available,” District 9 Councilman and LAHTF board member Bill Hollander said. 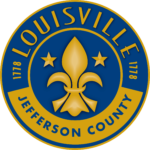 “As we celebrate another step on the path to providing more Louisville residents – including many working families – with safe, decent places to live, we all recognize that we have much more to do to meet the need.